Tommy Dorsey always had the best vocalists in his orchestra. From Frank Sinatra to Jo Stafford, he definitely knew talent. 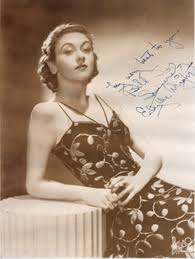 One of his best vocalists of the 1930s was the great Edythe Wright. Pretty much forgotten today, Wright brightened up many of Dorsey's records of that era with her phrasing and confidence in her singing. Edythe Wright was born in Bayonne, New Jersey, the youngest child of Harrison Burr Wright and Hanna(h) Heffernan on August 16, 1914 In the 1910 census Hannah and her children are listed as living in Leonia (Bergen County, New Jersey at the home of Harold Chase who is married to Hannah's sister Helen. Chase was a baseball player for the New York Yankees who eventually was scarred by allegations of throwing games and illegal betting. Edythe Wright is listed as being born in 1915 and the 1920 census lists Hannah as a widow so presumably Harry has died. 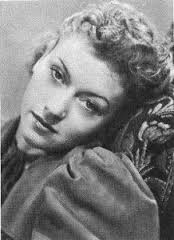 Further research is needed to document Edythe's activities between 1930 and 1935 and determine exactly how she became known to Tommy Dorsey. A February 8, 1938 article in MIT's newspaper The Tech says, "She hails from New Brunswick, New Jersey, where, prior to graduation, she was a leader in high school amateur theatricals and athletics." In Bandstand Edythe states that she went to St. Peter's Parochial School and St. Peter's High School (closed 2007) in New Brunswick before transferring to New Brunswick High School where she graduated in 1933. From there she spent time running a coffee shop with her sister (which one is unstated), studied drama at the New Jersey College for Women at New Brunswick (now a part of Rutgers) and spent her summers at Sea Girt, New Jersey. During the summer of 1935 she was asked by bandleader Frank Dailey to fill in for his vocalist Nancy Flake during an engagement at the Asbury Park Casino. 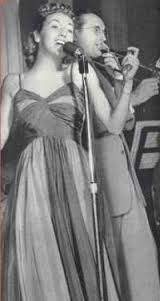 She was heard by Tommy Dorsey's agent and despite her supposed dislike of being a band vocalist and lack of formal musical training, accepted a permanent job with Dorsey. She was twenty-one years old. 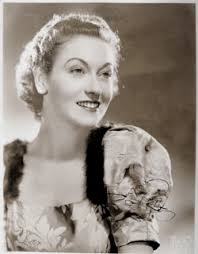 Evidence exists that Edythe did at least one broadcast for the Ellery Queen radio series (#148 "The Frightened Star") broadcast on July 14, 1940 with a rebroadcast in October 1943. She apparently spent the war years in California and returned to New York/New Jersey in 1950 to manage Sy Oliver (advertised in Variety). Oliver at that time was affiliated with Decca Records. Somewhere along the way she married John T. Smith. The date of the wedding is unknown. According to the U.S. Census of 1920 Smith was born in 1919 and resided in Milburn Township. The 1930 census lists his residence as Sea Girt. According to his U.S. Army file, he enlisted in the Army on October 6, 1941 and was assigned to Fort Dix with the rank of private. His civilian occupation(s) are listed as "Motorcycle Mechanic or Packer, High Explosives (Munitions worker, ammunition) or Toolroom Keeper or Stock Clerk or Stock Control Clerk". He served as a combat engineer in Alaska during World War II. Smith died in June 1981.